Keep Calm… Summer is coming! Enjoy this summer but take a few precautions to protect your child(ren) and yourself from some of the more dangerous aspects of this season. 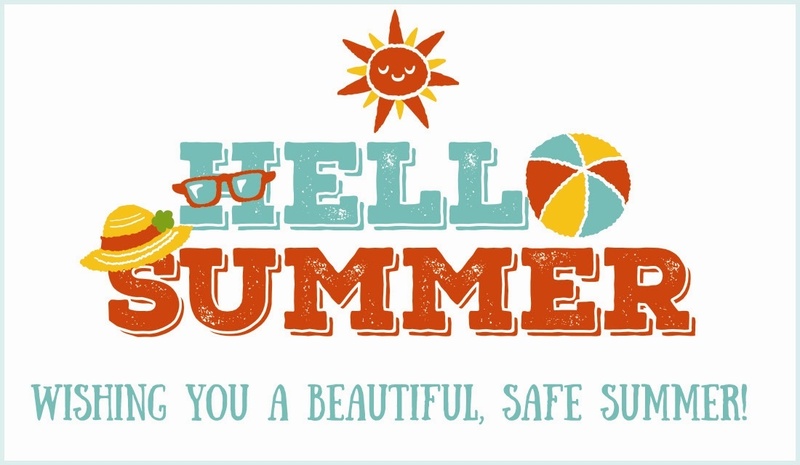 Here are some summer safety tips and ideas on what to do this summer. Use Sunscreen: Wear sunscreen with an SPF (sun protection factor) of at least 15. Apply sunscreen all over the body (even in places covered by clothing) 30 minutes before going outside, and reapply every two hours or after swimming or sweating. Sunscreen should be worn for any outdoor activity, even on overcast or cloudy days. Avoid the Heat: Avoid outdoor activity between 10 a.m. and 4 p.m., when the sun’s rays are the most intense. Get the Right Gear: Wear sunglasses with 100% UV (ultraviolet) protection. Everyone, especially very young or very fair-haired children, should wear a hat. Wear cotton clothing, preferably with a tight knit. Stay Hydrated: Be sure to consume enough water, and avoid sugary and/or caffeinated drinks such as soft drinks. For Babies: Dress your baby in lightweight clothing with long pants and long-sleeved shirts and a wide-brimmed hat. Keep baby’s feet covered with a lightweight blanket. If necessary, small amounts of sunscreen can be applied to exposed areas. Use strollers with a large canopy. Swim under adult and/or lifeguard supervision only. Never be out of arm’s reach of your baby or toddler in or near the pool or body of water. Avoid use of inflatable swimming aids (“floaties”). These can provide false sense of security. On a boat: all children must wear properly-fitting life jackets at all times. Pay attention to the weather conditions and forecasts and take proper precautions. Summer is fast approaching and with it comes a season filled with vacations, outdoor activities and get-togethers with friends and family. Summer activities don’t have to be expensive to be fun and memorable. Blow Bubbles – everyone always enjoys watching or running after bubbles flying in the air. Play Hopscotch or one of your outside favorite games – It doesn’t matter how good you are just have fun with the family. Make lemonade from scratch – If you barbecue or make sandwiches there nothing better then having a good cold glass of lemonade from scratch. Have a picnic at the local park – treat the family to a picnic at a local park. Just grab a blanket, pack some sandwiches and drinks. A picnic is a low cost way to enjoy the warmth of summer without spending a lot of money. Have a day trip to somewhere local and pack your drinks and snacks – Is there a place you’ve always wanted to visit in your area, but never got around to it? If so, a day trip is in order. Day trips are low cost, you’ll only need to worry about gasoline and refreshments. Have a family game night – Break out the old board games, serve up some snacks and have fun. Stargaze in your backyard – Lie on the grass or make your kiddie pool work overtime by filling it with pillows and blankets, and host your first family stargazing night. Please save the date for our Annual Foster Family Retreat which will be held on Saturday, August 25, 2018, at United Methodist Church of the Resurrection at 13720 Roe Ave. Leawood, KS 66224. For those of you not familiar with the area, Leawood is a Kansas City suburb in southern Johnson County, KS. Registration information will be coming out over the summer and we hope you can make it! 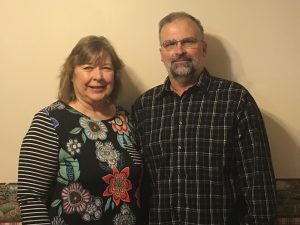 I would like to recognize Russell and Linda Groenendyk as Care Providers of the Month. They have not disrupted on a child the entire time I have been their worker for the past three years and in their 10+ years of fostering with TFI, they have very rarely disrupted on a child. Since I have been their worker, they have maintained their long-term kiddos until permanency has been reached; usually reintegration. They do respite for other families frequently, and when they don’t have children placed in the home they will do emergency placements. They currently have a sibling set of four. They reached out to the contracting agency as they were willing to add the sister to the clan if the team was wanting to keep them together. They are very active in each child’s schooling. They read and do homework/activities with them every night. Russell is always running the kiddos to appointments. He has been to Newton, a couple of hours away, several times so one of the kiddos could have dental work done. Some of these appointments are spur of the moment; if the dentist says they can get him in that day, Russell will gas up the pickup and get them there. Russel and Linda both had to attend a dental appointment for one of the kiddos so they packed up and spent the night in the hotel, with Linda taking off work and Russell putting things off on the farm. The kids are able to have a “farm life” experience at their house. The recently took the family to Salina for a family outing for one of the kids birthdays. They ate Chinese and he got to pick out a toy and got some new clothes. They are very active in the community and in church. Russell is quick to get anything done that the agency asks of him. He is easy to communicate with and is very flexible with scheduling visits. In place of our “bring a friend” to a support meeting for May incentive, we have decided to offer a different incentive to KS and OK families for the month of May in honor of Foster Parent Appreciation Month! Our Foster Parent Appreciation Events for May and June aren’t all open to additional families beyond currently licensed homes but we still want to do a major referral push for the end of the school year so……Instead, we will take all of your potential foster parents referred after May 1 who complete training by June 30th and the family who refers them will be entered into a drawing for $1500! 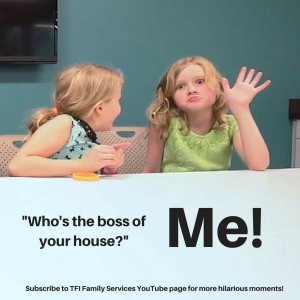 Please make sure the family knows to list you as their referral source! Please attend to find out more about how you can prevent drug use/abuse among our youth! I wanted to send out a friendly reminder on our Ambassador Program. We have had a great response so far and hope we will continue to grow the program. Once again this last Fiscal Year our Foster Parents were our Top Recruiter for TFI. Year after year this continues to be our largest referral source and we have all of you to thank for it. Remember everyone is on the Silver level and receives $500 for each family you refer who becomes certified/licensed in your state. $500 referral incentive for every family referral to TFI that becomes licensed/certified. $50 gift card to a restaurant of their choice. Who is going to be our first family to achieve the Diamond Level Status? As a sneak peek here is what you’ll receive. $550 referral incentive for each family after their 5th referral who becomes a licensed/certified TFI Home. 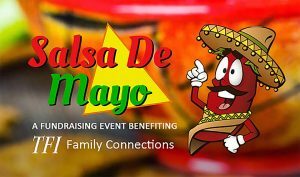 Salsa De Mayo is a family-friendly fundraising event benefiting TFI Family Connections. Not only is the event a taste testing event, but also a family entertainment event, complete with pinatas, salsa dance lessons, inflatables, face painting, burrito eating contests, and more. Salsa De Mayo also celebrates Foster Care and Adoption as a part of the National Foster Care Awareness month with up to 20 various organizations within the local foster care/adoptive community represented. Texas now has two offices, one in Denton and now has an office in Wichita Falls. Do you know anyone who is interested in fostering in the Wichita Falls or surrounding area? If you do, please refer them to TFI and make sure they mention you as the person who referred them. We are offering an incentive for recruitment in that area. 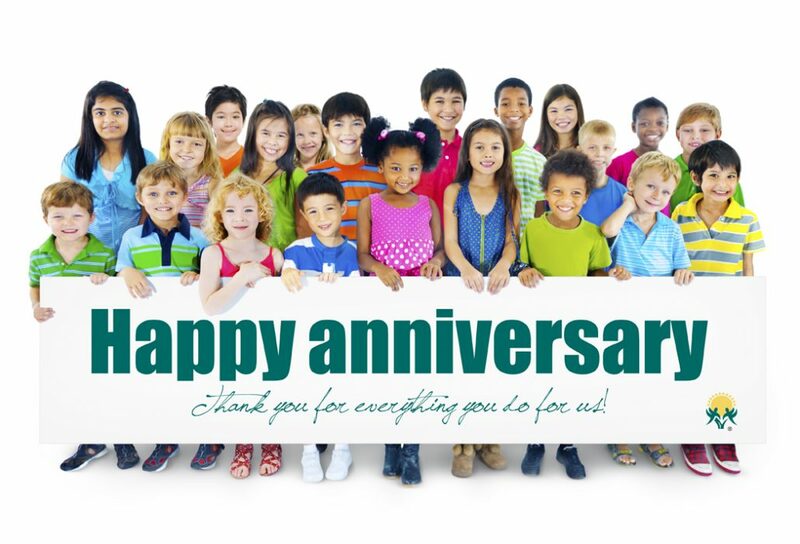 With this Texas Family Initiative wants to say thank you to every one of you. The reason TFI has grown is because of you. 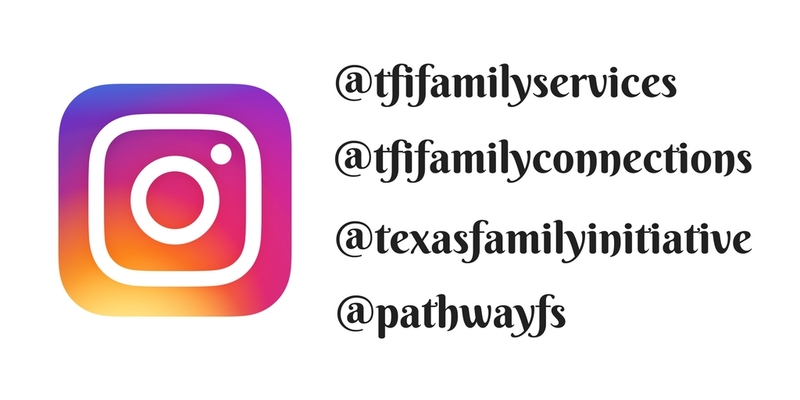 You have dedicated yourself as foster parents to care for children and Texas Family Initiative has received many referrals from you. This means a lot to us and so we are grateful and want to say “Thank You”. Abuse, neglect, and trauma can lead to a variety of emotional and behavioral issues for children living in foster care. As a result, foster parents need to give careful consideration to the type of discipline they employ. Many children in foster care have been exposed to domestic violence, physical abuse, or emotional abuse prior to being placed in foster care. To help them feel safe and secure in their foster homes, most regulating agencies prohibit foster parents from corporal punishment. Children in foster care need the positive discipline that teaches them new skills. Many of them lack problem-solving skills, healthy coping skills, and emotion regulation skills—all of which can lead to misbehavior. To create a behavior plan that will help your foster child learn the skills she needs to reach her greatest potential. It’s important to choose your battles wisely. Focus on the most problematic behaviors first and be willing to ignore less serious behaviors—like interrupting or a lack of table manners—until you’ve got the big ones under control.Provide plenty of positive attention. Spend one-on-one time together each day to build trust, which is an essential component in any healthy relationship.Have fun together and you’ll likely prevent a lot of attention seeking behaviors. Praise is a powerful tool that can reinforce good behavior. Catch your child being good and point out the specific behavior you appreciate.Whether he’s playing quietly with blocks, using good manners, or following directions nicely, praising his efforts will give him an incentive to continue.Pointing out good behavior also helps him understand your expectations better. Grandma’s rule of discipline gives children in foster care a sense of control, which is critical to children who have little control over most aspects of their lives.So rather than say, “No TV until you put your toys away,” say, “When you finish putting your blocks away, you can watch TV.” That slight difference in the way you word your statement will show your child he has control over how and when he earns privileges.It’s also important to offer a couple of simple choices. Ask, “Do you want peas or carrots with chicken?” or “Do you want to do your math homework or clean your room first?” Allowing your child to assert himself in simple, healthy ways can help him feel like he has some say in his life. Use a younger child’s short attention span to your advantage. If he’s banging his blocks together loudly and you want him to stop, invite him to help you put the dishes away.Similarly, if he’s yelling because you said he can’t go to the park, remind him of something you’re planning to do tomorrow. Redirection can avoid a lot of power struggles. Reward systems can be very effective with children in foster care. A young child may do well with a sticker chart and an older child could benefit from a token economy system.Invest time in learning what type of rewards will motivate your child. And make sure your child sees it as a reward plan, not a punitive plan that causes him to lose privileges. When negative consequences are necessary, a time-out may be an effective choice. It’s important to choose the time-out space carefully and it should be discussed with the rest of your child’s team.While a time-out chair may be appropriate for some kids, others may do better in a time-out room. Taking away privileges can also serve as an effective teaching tool. It’s important to learn about what types of privileges will be most effective with your child. While taking away TV time may work for some kids, removing a specific toy may be most effective for others. When specific behavior problems arise, work with your foster child’s guardian, case manager, therapist and other caretakers to identify the best strategies for intervention. Consistency is often the key to helping children in foster care learn the skills they need to manage their behavior. _______________, _______________, and ________________ can lead to a variety of emotional and behavioral issues for children living in foster care. Focus on the most _______________________________ first and be willing to ignore __________________________________________. _________________ is a powerful tool that can reinforce good behavior. ________________________________________________ gives children in foster care a sense of control, which is critical to children who have little control over most aspects of their lives. ____________________ can avoid a lot of power struggles. __________________ systems can be very effective with children in foster care. A young child may do well with a ________________________ and an older child could benefit from a _________________________________________. When negative consequences are necessary, ______________________ may be an effective choice. Taking away _______________________ can also serve as an effective teaching tool. _____________________________ is often the key to helping children in foster care learn the skills they need to manage their behavior.